Fruit Smoothie Popsicles are one of our favorite summer treats! They combine all the flavors of a fruit smoothie with all the fun a popsicle. Made with just three simple ingredients, these fruit smoothie popsicles come together in minutes and make a delicious breakfast, snack, or after dinner treat. They can be made with any combination of fruit, which means theres a flavor combination for everyone! 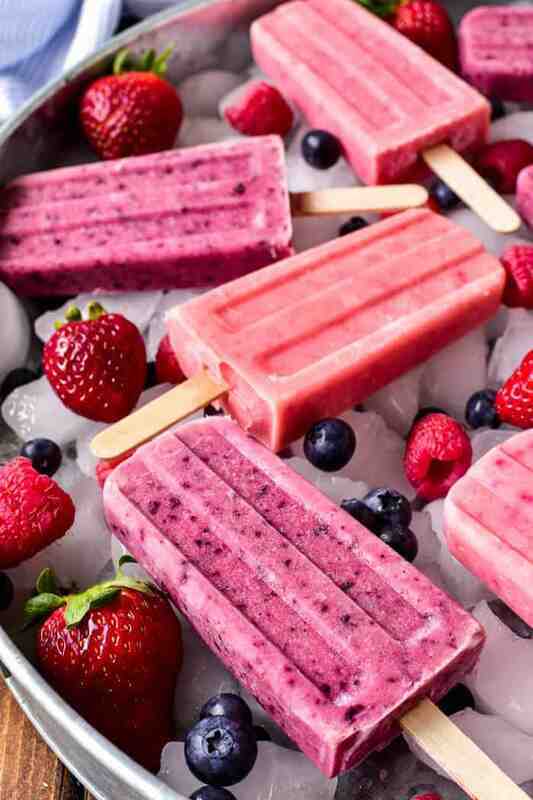 Whether you’re a smoothie lover or looking to eat healthier this summer, these Fruit Smoothie Popsicles are destined to become a new summer (or year round) favorite! What I didn’t realize, at the time, was how much I would actually use that blender. And not just for blended drinks, like this Tropical Frozen Sangria or this Kiwi Melon Frozen Sangria, but for things like our favorite Blender Salsa or even Blender Black Bean Soup. And what I really didn’t realize at the time was just how many smoothies that blender would go on to make. Seriously…my kids are obsessed with them. A couple of their favorites? This Lemon Raspberry Smoothie and this Blueberry Pie Smoothie. But honestly, I’m pretty sure they’ve never met a smoothie they didn’t like. So now that summer is here, I decided to take my kids’ love of smoothies to the next level with these Fruit Smoothie Popsicles. Because we all know that summer in Wisconsin can get HOT. And cooling off with popsicles is a must! 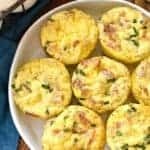 And if my kids are going to be requesting them daily, they might as well be filled with ingredients I can get behind….right? These Fruit Smoothie Popsicles are made with some of my favorite ingredients from Facebook‘s Simple Truth line. 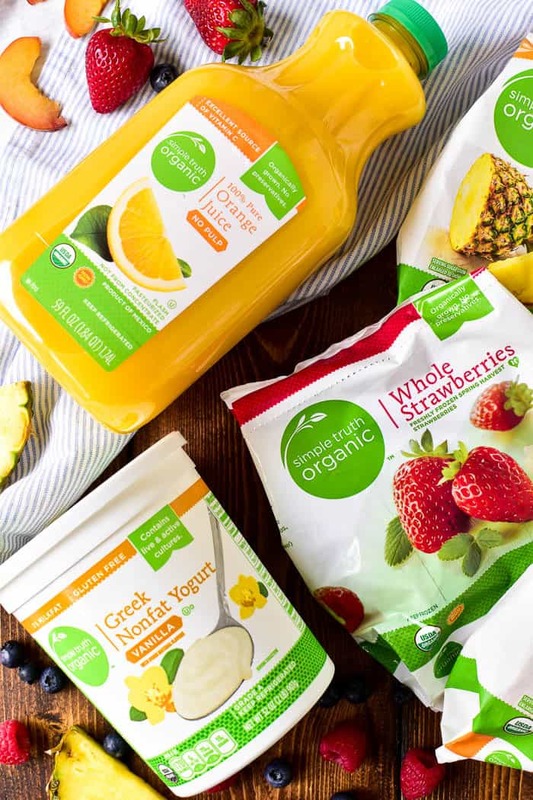 The same ingredients we use for all our smoothies: Simple Truth orange juice, Simple Truth vanilla Greek yogurt, and Simple Truth Frozen Fruit. I love the fact that Simple Truth products are all natural, honest, and affordable. They make shopping for natural and organic products so easy! 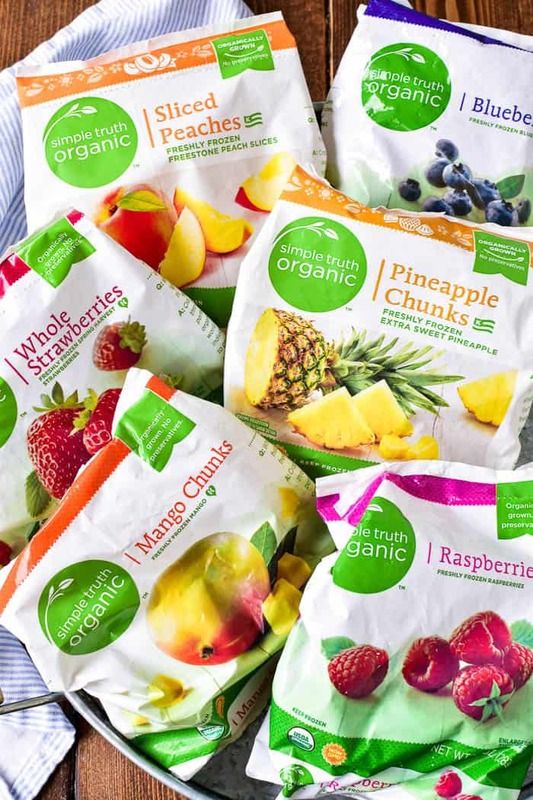 And I especially love their great selection of organic frozen fruit. For these Fruit Smoothie Popsicles I combined two different types of fruit in each of the three flavor combinations: raspberry + peach, strawberry + pineapple, and blueberry + mango. They all turned out DELICIOUS….and I’m already thinking about which combos we’ll try next. Maybe three kinds of fruit? Or more? The good news is you really can’t go wrong. 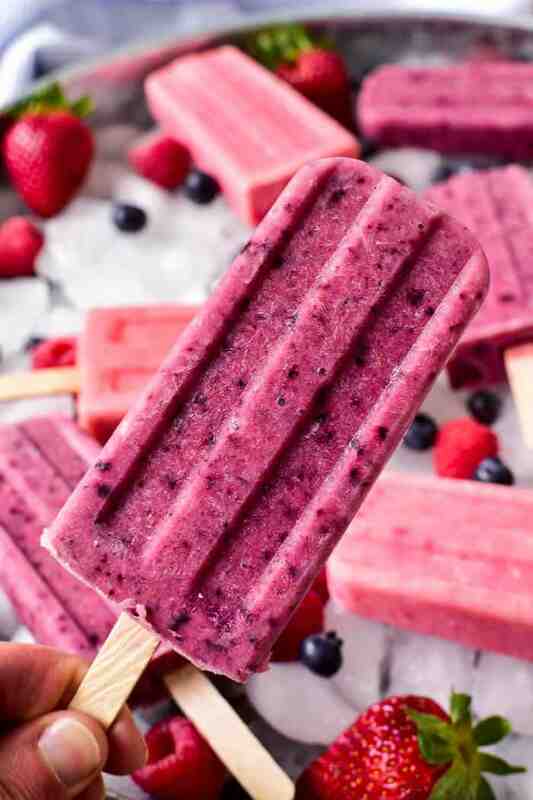 HOW DO YOU MAKE FRUIT SMOOTHIE POPSICLES? In a blender, combine orange juice, Greek yogurt, and frozen fruit. *For creamier popsicles, use more yogurt. Pour into popsicles molds, insert popsicle sticks, and freeze until firm. ARE FRUIT SMOOTHIE POPSICLES HEALTHY? 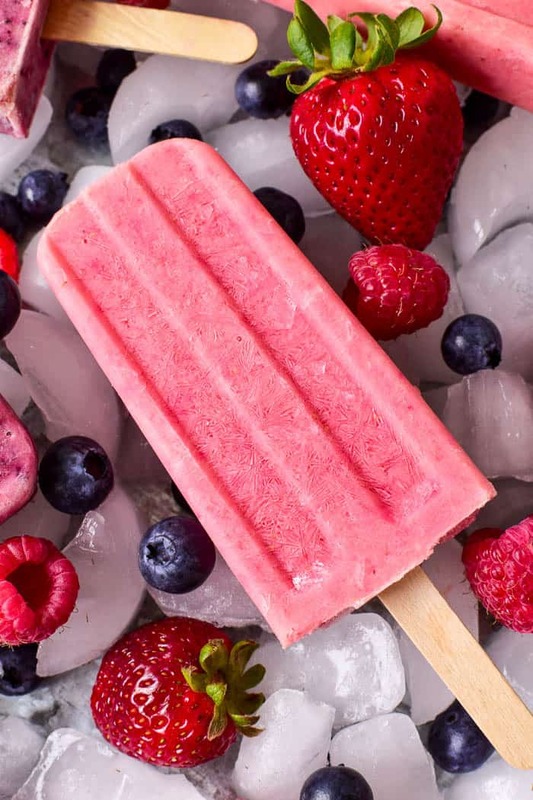 Yes, fruit smoothie popsicles are essentially frozen fruit smoothies. 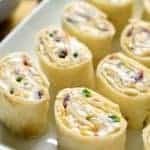 They are made with just three simple ingredients, the main one being fruit, and the Greek yogurt in them is a good source of protein. 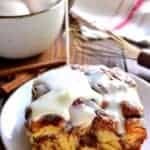 They make a delicious breakfast, snack, or healthy dessert! CAN YOU MAKE HOMEMADE POPSICLES WITHOUT A MOLD? 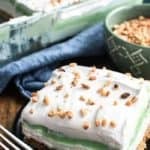 Yes, there are several things you can use in place of a popsicle mold: small paper or plastic cups, ice cube trays, small baking tins, empty yogurt containers, or even a muffin pan. HOW DO YOU STORE HOMEMADE POPSICLES? Homemade popsicles are easy to store. Simply freeze completely, then remove them from the popsicle mold and store each one in a separate ziploc bag. Popsicles can also be stored in an airtight plastic container, using wax paper to layer them. 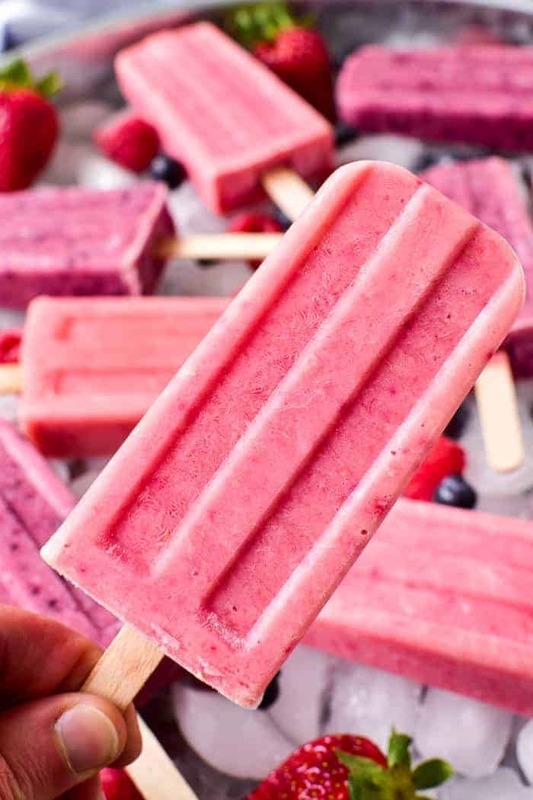 Fruit Smoothie Popsicles are one of our favorite summer treats! They combine all the flavors of a fruit smoothie with all the fun a popsicle. Made with just three simple ingredients, these fruit smoothie popsicles come together in minutes and make a delicious breakfast, snack, or after dinner treat. They can be made with any combination of fruit, which means theres a flavor combination for everyone! 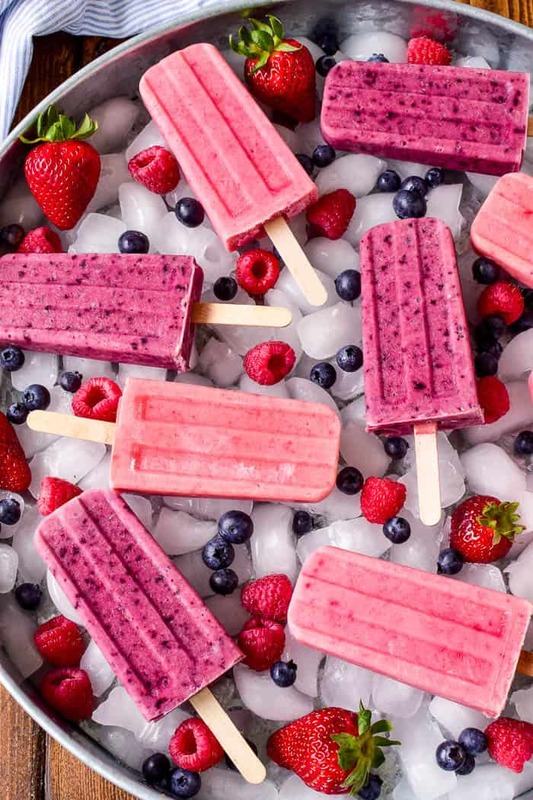 Whether you're a smoothie lover or looking to eat healthier this summer, these Fruit Smoothie Popsicles are destined to become a new summer (or year round) favorite! Combine all ingredients in a blender; mix well. 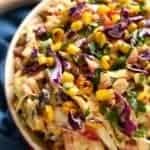 These look so amazing! 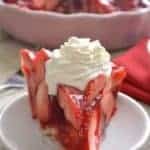 I cant wait to make these for the family!! These look so perfect for summer. 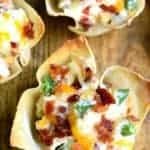 These are beautiful and pinned! I really cover that large silver serving platter or bucket type thing you have these laying on. 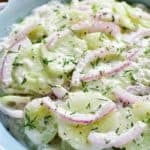 I think if I had that I would actually make frozen recipes for my site lol. These popsicles look so delicious! 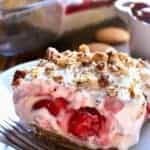 These are perfect summer treat! My kids will surely love these! These have to get in my freezer! They look so good! 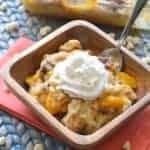 My kids will surely enjoy this treat! Love the vibrant color!